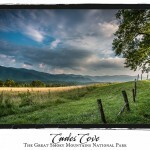 The Great Smoky Mountains National Park – Adventures with my family! We took a quick mid-summer break to explore the mountains with a little adventure through Tennessee and North Carolina. It’s becoming a regular thing for my wife Michele, our daughter Lily, and me to bring friends. On this one we went with our friend Jenny to celebrate her birthday in Tennessee.